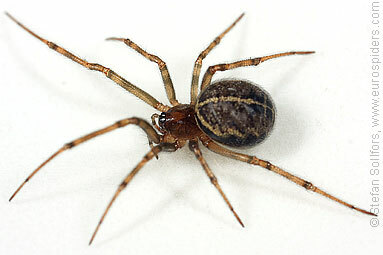 Female Steatoda castanea, side view. 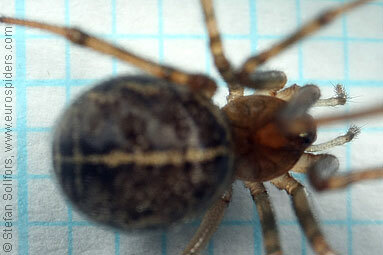 Female Steatoda castanea from below. 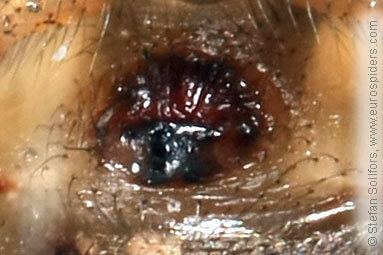 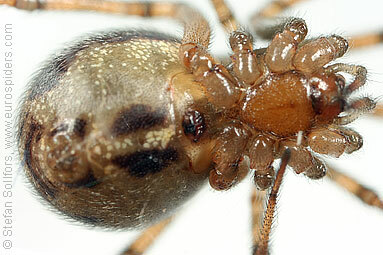 Female Steatoda castanea, close-up of epigyne. 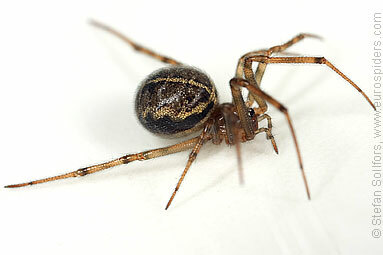 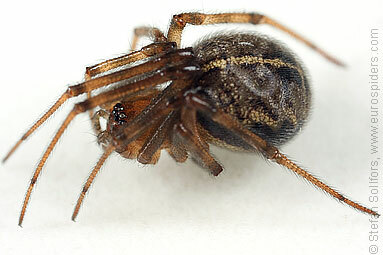 Female Steatoda castanea, about 5,5 mm. 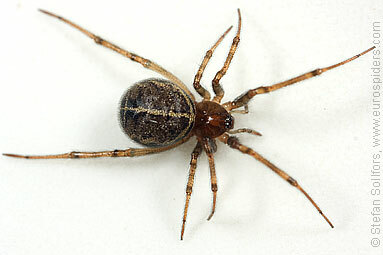 Steatoda castanea. 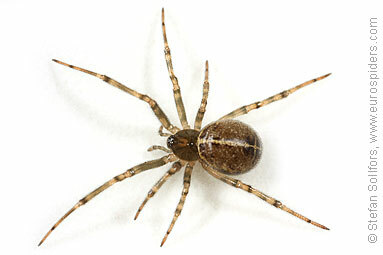 Looks a lot like S. Bipunctata, but with slightly different pattern and colours.